The Feel+ Program has been shortlisted as a finalist for an award at the upcoming European eyeforpharma 2018 conference (March 13-15 2018), held in Barcelona. 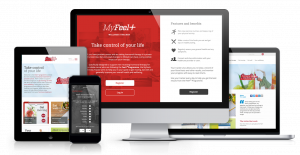 Ferring’s Feel+ Prostate Cancer Wellness program, developed in conjunction with Cliniques Universitaires Saint-Luc, and created in its digital form by Kanga, has been shortlisted for ‘Most Valuable Collaboration’. The award looks for projects that provide real, tangible differences to the lives of their patients both in the short and long term. More information on the awards and finalists. Enter your email address below to receive notifications of new services or blog posts by (occasional) email.